I live in Michigan, so during the few months when the sky is blue, the grass is green, and clouds are fluffy, I pack away my winter projects and hit the outdoors—preferably with a book in hand. Those days are just around the corner, so I’m stocking up my Kindle now. If you’re looking to do the same, I’ve got a great deal for you. Until May 25, my new historical romance will be priced at just 99 cents. Escape to the beauty and grandeur of the American South where one determined young woman is battling for independence in a world where girls are never free to dream. With romance, complexity of character, and a solid grounding in history, Ella Wood delivers hours of quality deck chair lounging. And isn’t that what summer’s all about? Grab a copy now so when summer hits, all you need to worry about is the lemonade. 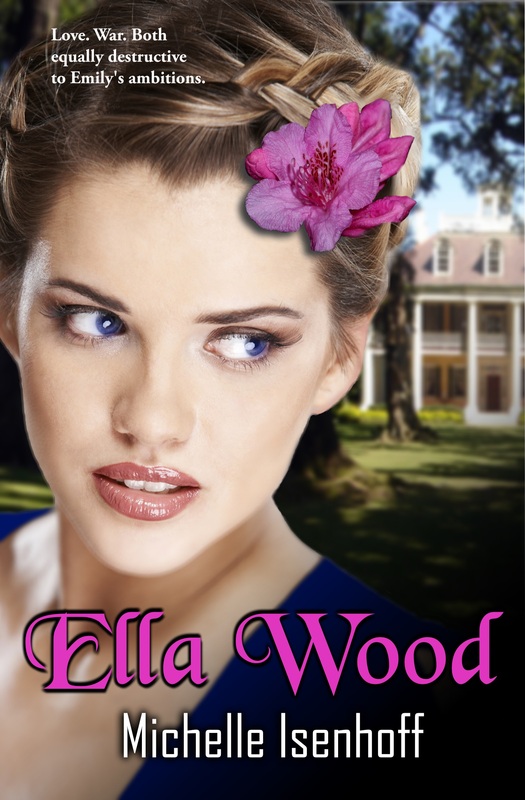 Find Ella Wood on Amazon, Barnes and Noble, or Kobo. When Michelle Isenhoff is not writing imaginary adventures, she’s probably off on one. She loves roller coasters, big dogs, high school football games, cycling, swimming in big waves, old graveyards, and wearing flip-flops all winter. Her dream vacation would include lots of castle ruins, but so far she’s had to settle for pictures on Pinterest. Once an elementary teacher, Michelle now homeschools two of her three kids and looks forward to summer adventures as much as they do. Find her at www.michelleisenhoff.com. *Beach chair image courtesy of Horton Web Design. « Closed Hearts (Mindjack #2) on SALE!